Kim Kardashian Talks Kris Jenner’s Wig, Should Momager Go Blonde Or Embrace Silver Hair? Kris Jenner has been turning heads lately and many people are going crazy over her new platinum, blonde hair. 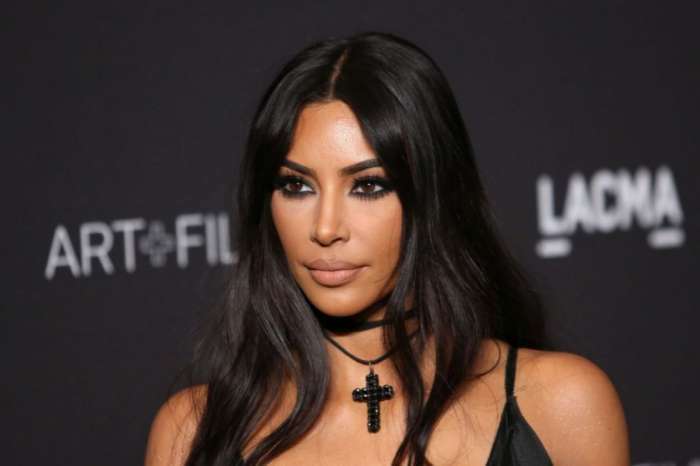 While some questioned whether Kris Jenner had bleached her hair blonde, Kim Kardashian revealed that her 62-year-old mother was actually wearing a blonde, pixie wig. The look has drawn overwhelming praise from fans who think that Kris not only looks great blonde but looks younger than she has in years. Could it be that at 62-years-old, the dark, brunette hair of Kris Jenner’s youth simply isn’t working for her like it used to? Today’s society is seeing more models embrace their natural gray hair. Yasmina Rossi is in her sixties and Wilhelmina International represents her. She is known for having waist length, natural silver hair and still models in bikinis. Other women who are revolutionizing beauty standards with their silver hair include Marian Moneymaker, Hillary Barnett Bitar, Cindy Joseph who is signed with Ford models, Claudine Penedo, Milva Spina, Francesca McGill and Teruko Burrell. With Kris Jenner’s keen fashion and beauty sense, it seems logical that she’s aware of the popular trend of embracing gray hair and going silver. Many women who do so say they have received numerous compliments about their hair. Cindy Joseph states it wasn’t until she went gray that her modeling career began. While Kim Kardashian spoke about Kris’ blonde locks the reaction to the new look has been so positive, one must ask whether Kris should either embrace her silver hair or stay blonde. According to the report above, Kris Jenner wanted to try being a blonde out of curiosity. The response has been more than favorable and many have suggested that Kris Jenner make a permanent change to a lighter shade. Many beauty experts recommend that once hair begins to gray to switch to a lighter shade than your natural color. Kris Jenner has an arsenal of beauty tools at her disposal and has pulled off the dark hair much better than the average senior women does. What do you think of Kris Jenner’s hair? Now that you have seen her platinum blonde, do you think she should stay blonde or even embrace silver?